Combine all ingredients (except cabbage and peanuts) in a jar and shake well. In a large bowl combine cabbage and peanuts. 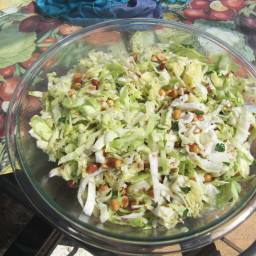 Pour dressing over cabbage and mix well to moisten. Chill for about 2 hours before serving.